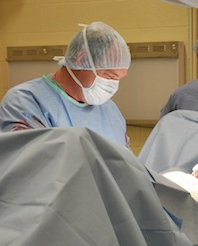 Dr. Brusie graduated from Michigan State University College of Veterinary Medicine. He completed his surgical residency at the Marion DuPont Scott Equine Center in 1989 and has been in private practice ever since. He became Diplomat of the American College of Veterinary Surgeons in 1994. Dr. Brusie joined Palm Beach Equine Clinic in 1996. Veterinarian, Dr. Robert Brusie, surgeon at the Palm Beach Equine Medical Center, discusses the signs and treatments of abdominal pain in horses, including the proper course of action responsible horsemen should take when a horse is suffering from colic.